Visit the New Stores in My Town! More stores to visit and learn from. Enjoy the newest clothes and even pick put food for dinner from the supermarket. 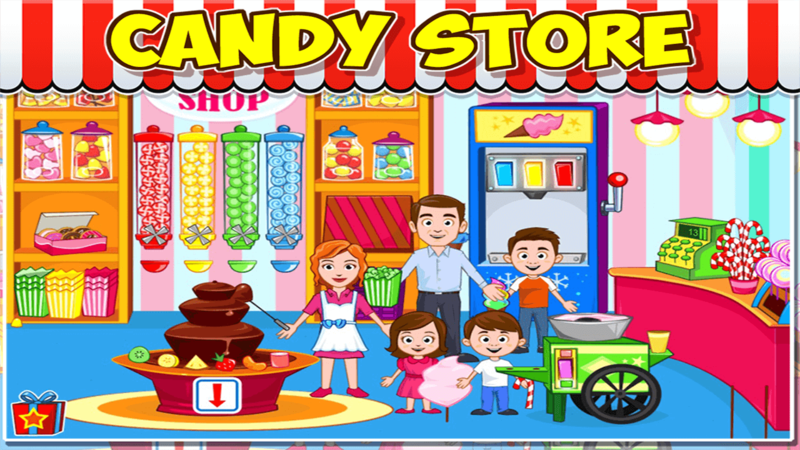 Then visit the candy store for a sweet treat outside! A new mall has opened in My Town! Imagine all the stories your children can make up with more than 6 different locations to explore. Dress up in the latest fashions in our clothing store, or pick up ingredients for tonight’s dinner in the supermarket. 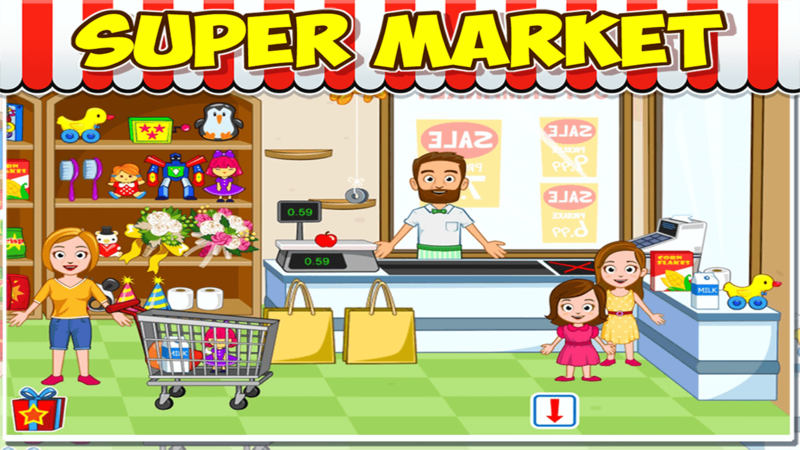 My Town: Stores is a fully interactive game providing hours of education and entertainment. With no time limits or high scores to achieve, the only limit in My Town is your own imagination! An added bonus is the connectivity of all the My Town games. You are able to share characters from one game to the other within the My Town world of apps. 6 areas to explore including a huge supermarket with over 67 items to buy, play with or eat, a candy store where you can make popcorn, pick up some gum and find ALL the sweets you can possibly imagine, a clothing store to dress up the family in 87 of the most fashionable looks and even a food truck!